Why am I no longer receiving newsletters from All Things Stampy? 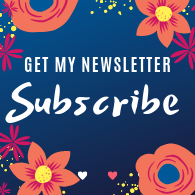 Due to stricter Data Protection laws (GDPR) which came into force in the EU in May 2018, I have been making changes to my mailing list. I now need your explicit consent that you wish to join and/or remain on my list. If I do not have that, and you have not updated your subscription recently, I have been forced to delete you from my newsletter mailing list. Sorry about that! You may rejoin at any time by clicking here. Once you have completed the short form to join the mailing list, you will receive an email asking you to confirm your subscription. Only when you have done this will you be back on the list. 2. Check your junk mail/spam folder. 1. With your consent, if you have opted into my mailing list. You can join my mailing list here, and you have the option to opt out at any time. 2. If I need them because you have placed an order through me. If you wish to have your details erased, please get in touch. If you pay for orders via online bank transfer, I do not receive your bank details. If you pay for classes via online bank transfer, I do not receive your bank details. Classes fees are payable in advance. If you have to cancel, I will do my best to accommodate. 1. Cancellations two weeks before the class date: A full refund can be given, or a credit towards product or another event. 2. Cancellations less than two weeks before the class date: Unfortunately I cannot guarantee a full refund in these circumstances as I will have paid for and prepared the supplies. However, a full kit will be provided for you to complete at home. 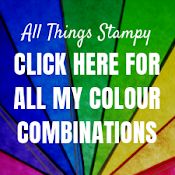 This is my personal blog and my sole responsibility as an Independent Stampin' Up!® demonstrator. 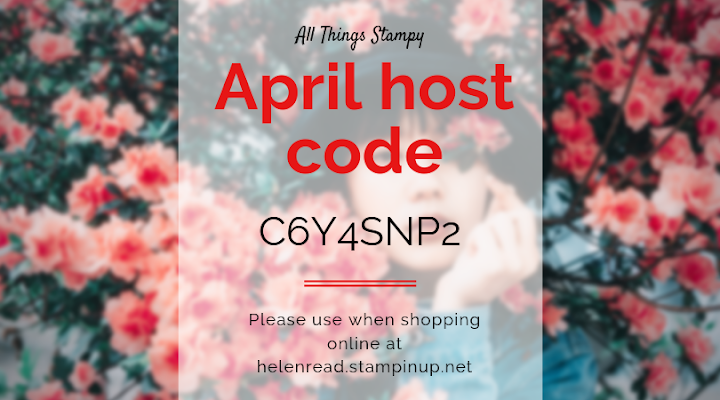 All images are © Stampin' Up!® All content including photographs, projects and text are © Helen Read, unless otherwise stated. Please feel free to copy my ideas for your personal use and inspiration - if you are a SU demonstrator you may use these ideas for your events but please give credit where it is due. Please do not use my ideas for monetary gain, competitions or publication. The images on this blog - including blog buttons - should not be copied and used elsewhere on the internet or on CDs. Welcome to All Things Stampy! My lovely followers - why not join them and stay up-to-date?